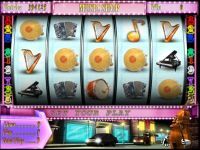 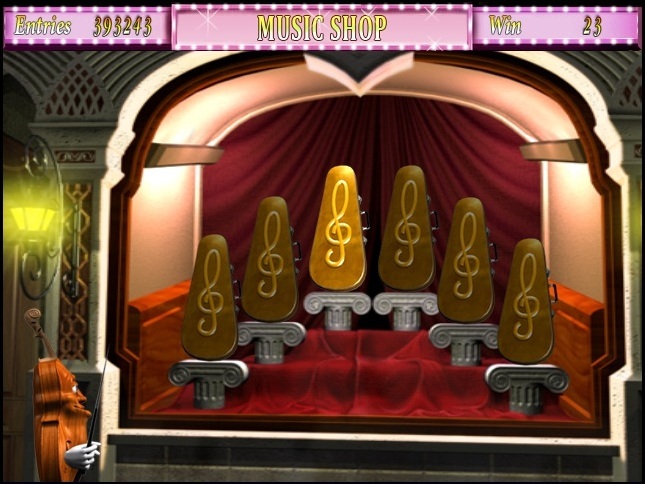 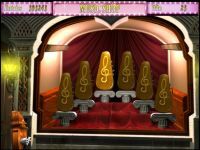 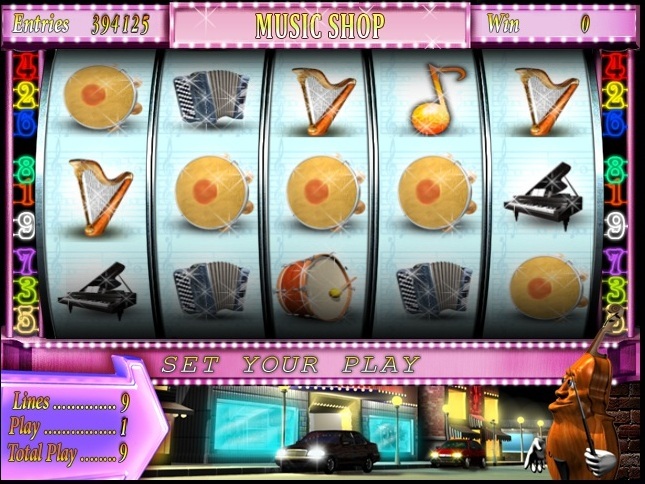 Game Music shop is a 5 reel 9-line video slot with the possibility of doubling your winnings and the bonus game and free spins. 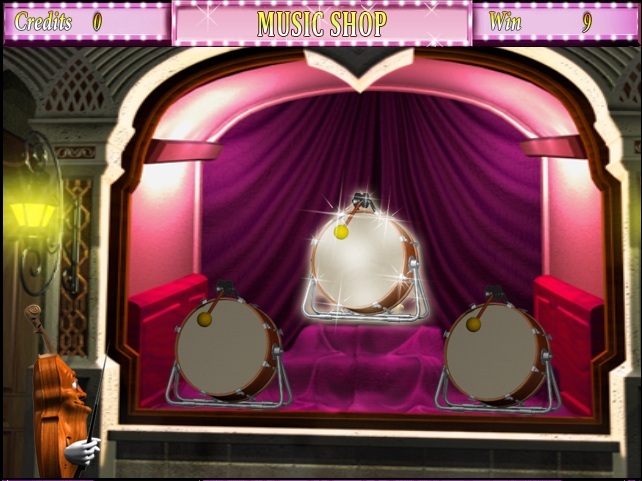 The "speaker" replaces any symbol except the combination of vyygryshnoy bonus. 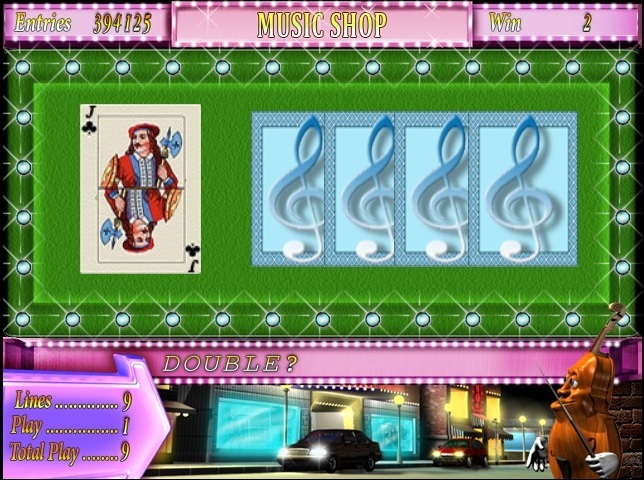 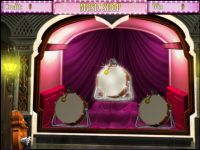 At loss of 3-5-bonus symbols start bonus game which calls choose from 6 subjects to increase the gain.